The Clos Häuserer is a small square vineyard of 1.198ha located on deep rich marl limestone soil, just below the Grand Cru Hengst, on a gentle east facing, surrounded by hills. The Oligocen mother rock is about 1 to 1.5m deep. This rich layer of soil can take a long time to warm up, which explain why despite being in a very precocious area, Clos Häuserer can show the characteristic of a late ripening vineyard. The high free lime content of such soils is probably responsible for the reductive/petrol profile of this wine in its youth. The first vintage, 1975 (the vines were only 3 years old, so the wine wasn’t released as Clos Häuserer), is still alive. This vineyard has an incredible ageing potential and the 2016 vintage, with its sharp mouth texture, will go forever. The wild yeasts did their best, and surrendered keeping a light touch of residual sweetness. The wine still qualifies for indice 1 as it tastes dry. 2/2018: bright pale yellow colour. The nose shows a beautiful combination of ripe fruits (pears), citrus and definite limestone influence (toasty, flint, dry aromatic herbs). Surprisingly attractive today, it doesn’t have the classic reductive profile. The palate starts elegantly and then the power shows gradually. Like most Riesling wines from 2016, it fears cold serving temperatures. The finish is unctuous, rich, brings a sense of gentle power until the acidity kicks in and leaves the palate dry. 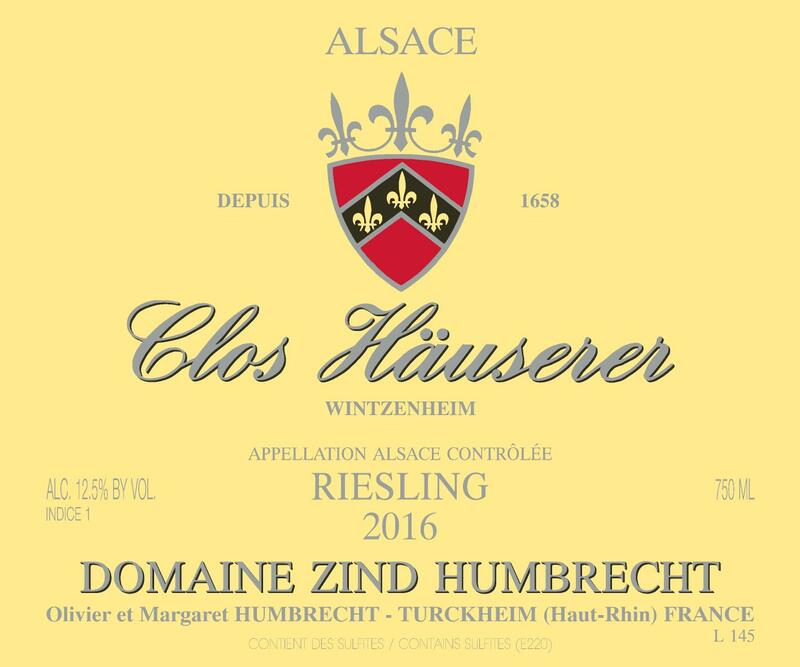 Salivating, complex with a good sense of mineral influence, the Clos Häuserer produced an elegant long lived wine in 2016.